There are very often talented people within the family to come into the business but if they do, there will always be thoughts that the family member is only in their role due to their role in the family. 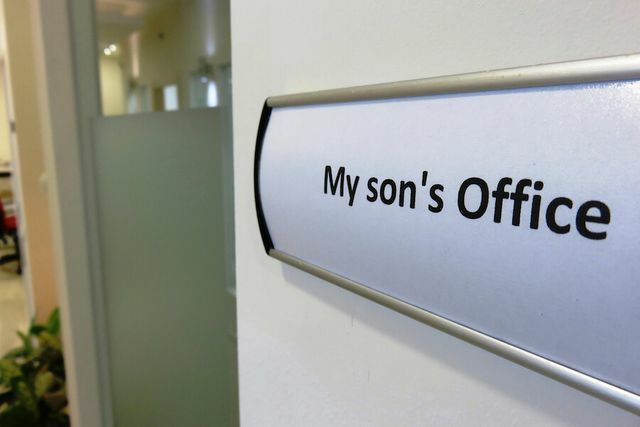 Some businesses put in place rules that mean that family members can only join the business if they meet certain criteria (surname not being one of them!). These rules can be specific to the family or to the type of business, some insist on experience being gained outside of the business, some on qualifications or starting at the 'bottom'. In some respects you may never get away from the feeling amongst non family employees that a family member is only in the business because they are family, but there are steps you can take to ensure that if a family member is fulfilling a role within the business that they are the best person for that job. There’s no question that the practice of advancing family members or close friends within an organization is something that can cause issues in today’s work culture, as Donald Trump’s White House can attest.